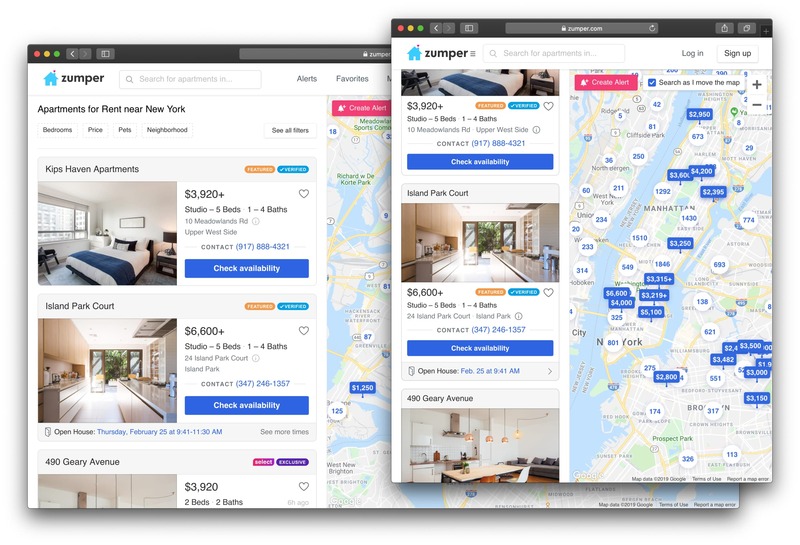 As a Product Designer at Zumper, the largest apartment rentals startup, I worked closely with product, engineering, growth, marketing, and sales to ship numerous projects across renter and landlord products. Here's a fraction of what I worked on. 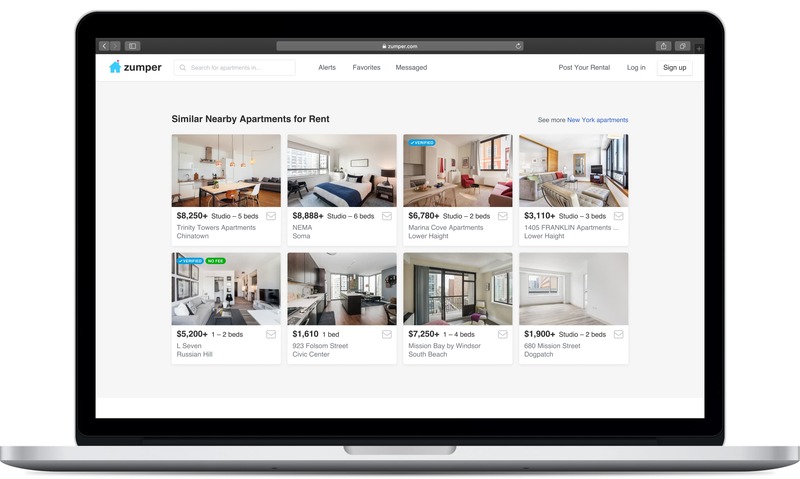 Increase conversions to apartment building detail pages, and debut an apartment units data model. We shipped three iterative versions, increasing conversion rate by 33% from an older design that converted better than the existing design, eliminating a painful experience of unstable interactions, and simplifying our frontend code. Design a listing card that would get partners interested in promoting their listings with a more prominent presentation. Successfully shipped, sold to partners, and created a new revenue stream, while maintaining a user-friendly browsing experience. 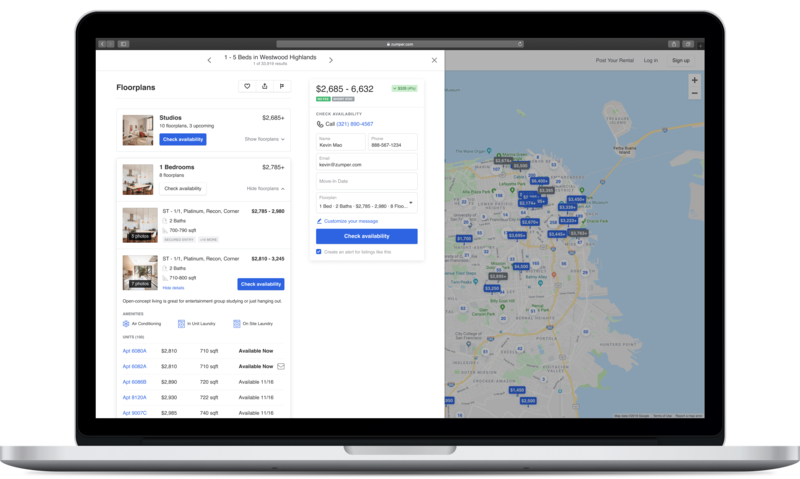 Eliminate inconsistencies, repair broken layout at certain breakpoints, and clean up visual design of individual listings in the core search results view. Product Designer Jacqueline Angel and I collaborated and converged on a polished design that addressed all edge cases. 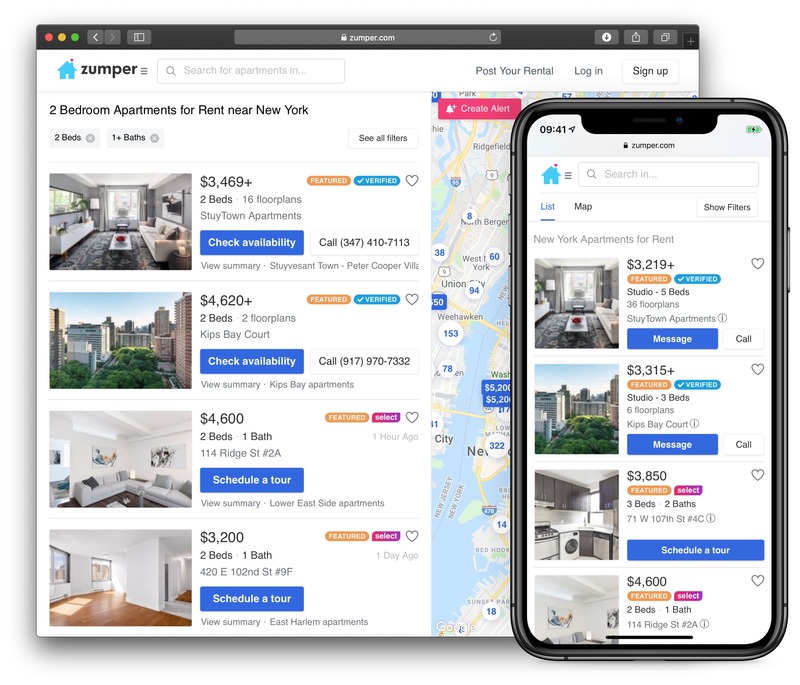 Address several UX pain points of summarized listing cards that are shown throughout the homepage, detail pages for similar listings, and city pages. My redesign restored broken layouts, fixed illegible text and buttons, and stripped out unnecessary information, under a unified and adaptive design. Upgrade the native apps' barebones map to bring it closer to feature parity with the web version. The iOS and Android map streamlines our web version with a more focused, one-at-a-time category viewing experience. I compromised a lot to arrive at a good user experience while minimizing engineering time and effort. 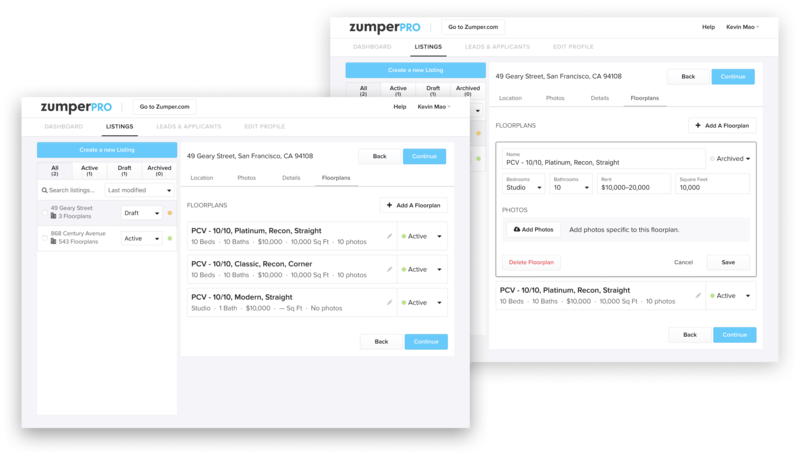 Bring PadMapper's ability for people to search within custom boundaries drawn directly on the map to Zumper's Map-List search results view. I used analytics from PadMapper to design a more intuitive and simplified version of the draw tool. 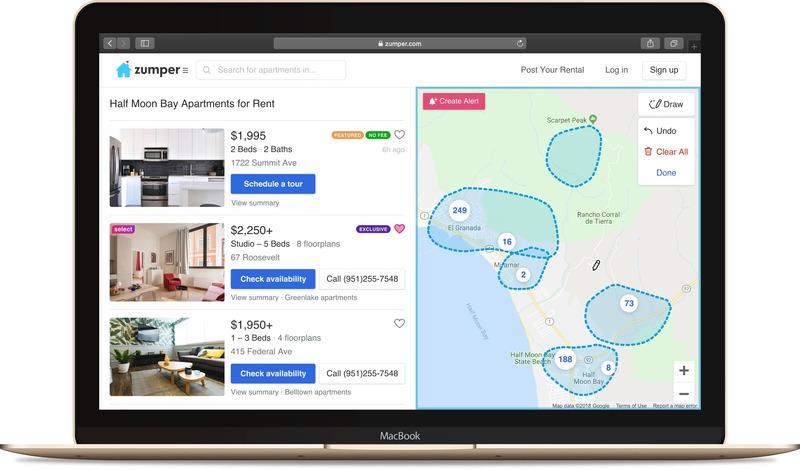 Add the oft-requested ability for Zumper Pros (landlords, property managers, etc.) to upload floor plan images to their listings. Keeping in the existing Pro product style, I used existing components to add a floor plan image uploader, while redesigning the floor plan editor for future scalability of additional data inputs.